I popped into Lush on Friday with the intention of getting the "Catastrophe Cosmetic" face mask. I was just about to pick it up, when a sales assistant approached (I'm not very good at saying no, d'oh). I ended up telling her that I'd never tried a face mask from Lush before and she asked about my skin type etc. and she beckoned me over to this mask right here. Upon opening it I have to say I really dislike the smell, but I'm sure it depends on personal preference as my sister is loving it. I thought £5.75 for such a small tub was a bit on the pricey side, but myself and my sister have used it and the tub is still pretty much full. As it's fresh, it will only keep about 3-4 weeks but it looks like I'll get a good amount of use from it. The product itself dries quite quickly on your face, but it doesn't take all of the moisture out of your skin, which is a plus, and is supposed to be a detox to get tired and dull looking skin back to being radiant and glowing. Upon using the mask, I wouldn't say it has brightened my skin so substantially, but the skin definitely feels tighter and more awake. I'm also left feeling refreshed and thoroughly clean. 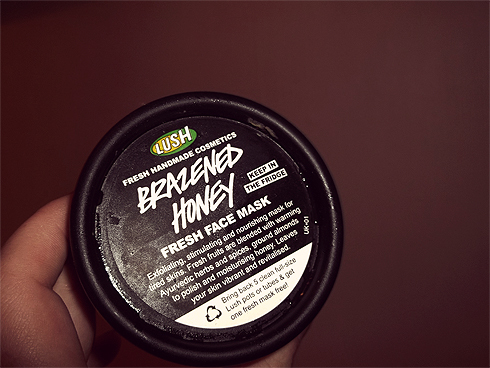 I would definitely buy this face mask again, even though the smell puts me off a little. I am a follower of yours, I really love your blog and I have nominated you for The Liebster Blog Award! I've heard so much about this mask! I am itching to try it out. 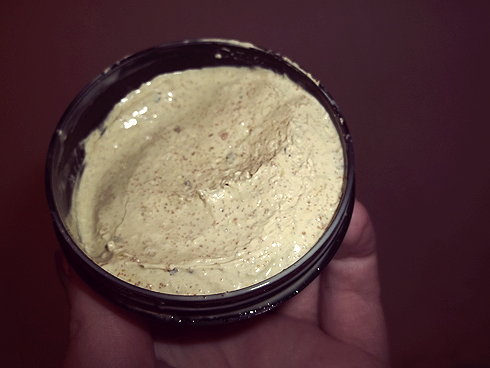 So far, I've loved the Cupcake mask by Lush. It smells absolutely divine and works great with oily skin!